A growing number of American couples older than 50 are turning to trucking as a second career. Could it be for you and your spouse? Several years ago, driving his truck down the Maine Turnpike, Bill Taylor let his wife take the wheel. He encouraged her, saying, “a truck is just a big car with a trailer.” It wasn’t legal—but it was 2 a.m., and they were alone on the road. A mile later, Taylor’s wife was hooked. The Taylors are among a growing number of Americans: Couples aged 50-plus for whom truck driving is a second career. “We see more of them all the time,” Taylor says. The American Trucking Association (ATA) has initiated a billboard, print and TV campaign to convince older couples to drive together. The reason: The 1.3 million drivers of long-haul, heavy trucks are approximately 20,000 fewer than needed. Putting two drivers in one cab doubles the miles driven, substantially cutting delivery times. Older couples driving together have many advantages, says Clayton Boyce, ATA vice president for public affairs. Among them: high pay, the chance to work together—either for a company or on your own timetable as owner-operators who lease or buy a truck, and the chance to travel together while seeing the country. For the Taylors, that 2 a.m. decision was a life-changing event. Until then, Taylor’s wife, whom he calls “a computer geek,” had joined her husband only on the weekends. Today the Taylors run their own firm, hauling industrial and poison gas, and are on the road together up to seven weeks at a time. But, Boyce says, there are also negatives. “You won’t be retired—you’re still working,” he cautions. “If you work directly for a company, you’ll be on their schedule. 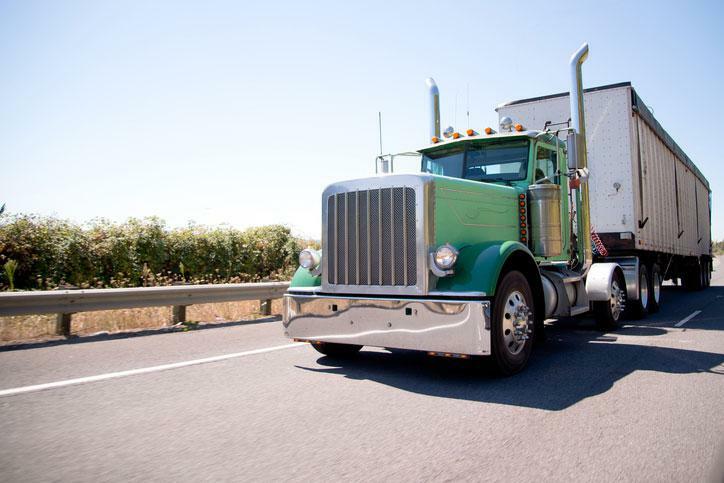 If you’re an owner-operator, you’re responsible for paying for and maintaining your truck, insurance and registration. You’ll probably have to learn how to drive a truck, which means going to school.” In addition, all drivers must pass a commercial licensing test. Driving is also a physical job, adds Tom Weakley, director of operations for the Owner-Operator Independent Drivers Association. Some drivers load and unload; all climb into and out of cabs. The rest of the time, however, drivers get little exercise. And being on the road means missing family events. Couples contemplating getting into trucking should head to a truck stop and talk to as many drivers as possible. They should examine each company carefully and get any promises in writing, say veterans and experts alike. As for travel: “Yes, you’ll see America. But it’s usually from I-70, not the back roads,” says Weakley. Boyce’s advice: “Think about the type of person you are. If you like to stop in a motel after three hours of driving, it’s not for you. Consider your health, because you’ll be driving for several days at a time, without access to your regular doctors. “Consider your finances too,” Boyce adds. “Figure out if you want to be a company driver with a regular paycheck or an owner-operator with greater return—and more paperwork and higher costs.” He notes that some owner-operators drive exclusively for a single company, which is easier than hunting for loads. Regarding the effect on marriages, Boyce says, “being together and on an adventure brings some couples together.” Does that mean it drives some apart? “I can’t comment on other people’s marriages,” Boyce says with a laugh. Learn more about transportation careers and update your truck driver resume with out resume sample to help you find your next trucking job.